Yum! It might be the most versatile tool in your kitchen! Cast-iron skillets are multitalented. You can trust them with every meal of the day and even desserts, too. Plus, they can take the heat (very literally, you can cook on a campfire or grill with one), they’re non-stick and clean up is easy because you can make an entire meal in one skillet. What’s not to love? We found 14 recipes that demonstrate the versatility of your cast-iron skillet, so you can make the most of that old-school kitchen tool. 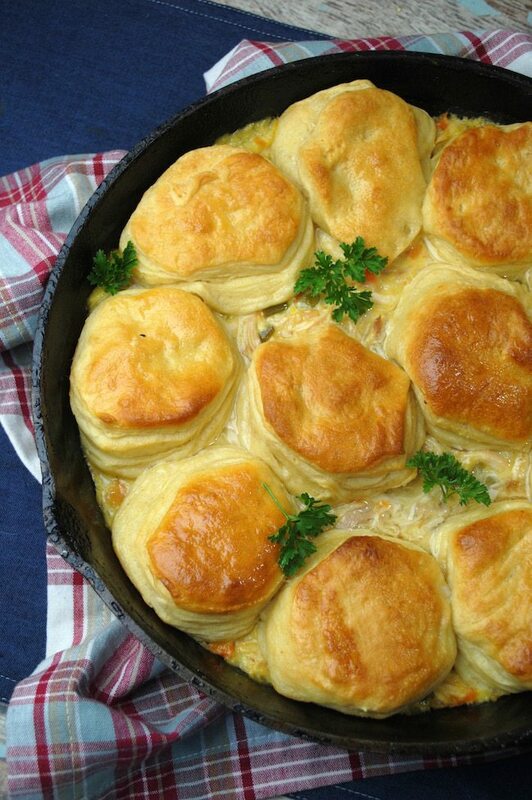 Cook up some comfort food with this easy chicken pot pie recipe shared by Just Plum Crazy. Buttery, flaky biscuits form the “pie crust.” But no need to flex your pâtissier skills. Those picture-perfect puffy biscuits come from a tube of refrigerated dough. (Your secret is safe with us). 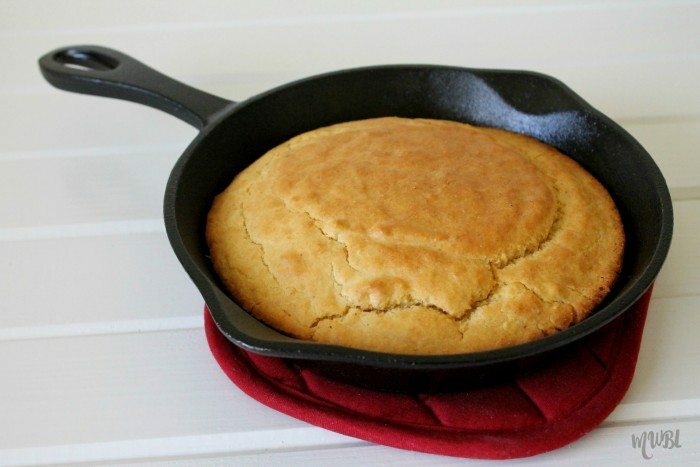 Snub the boxed cornbread and put your cast-iron skillet to work instead with this recipe from Mom. Wife. Busy Life. Once your cornbread achieves golden-brown perfection, dunk it in some chili (here’s a delicious recipe you can make in your Crock-Pot) or enjoy it alongside some rotisserie chicken and veggies. Photo courtesy of Mom. Wife. Busy Life. Bacon and Brussels sprouts have emerged as a foodie power couple. Together they get a two-cheese treatment on a pizza that was dreamed up by cookbook author and food blogger Jessica Merchant, who shares the recipe on How Sweet Eats. So, are you going to let the pizza delivery driver know he’s been replaced or shall we? Kale yeah! Fire up the grill and consider this recipe from Good Food Stories a grown-up spin on mac and cheese. If you’re not into kale, the recipe notes that you can use any other leafy greens, such as chard, spinach or beet greens. I mean, what’s to stop you from calling it a salad? You don’t need a fancy panini press to make a darn good panini sandwich—just a good old cast-iron skillet. We’ve got proof. 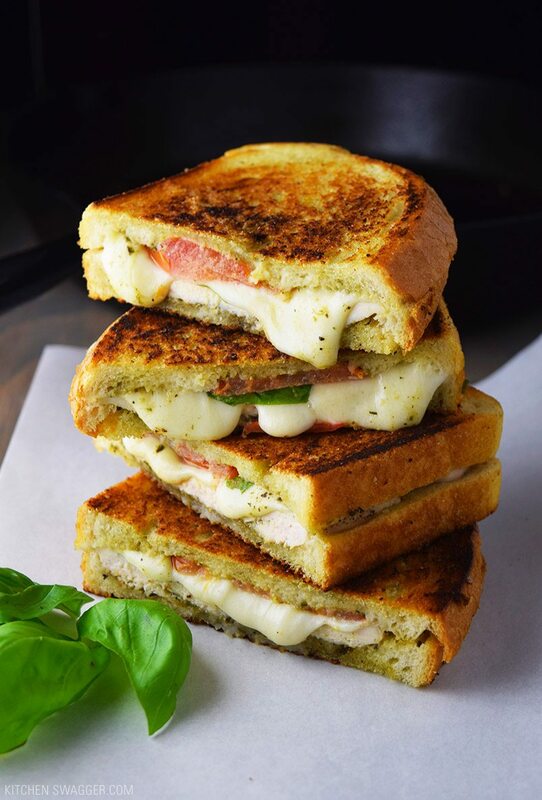 Create this chicken pesto sandwich, complete with melted mozzarella, all in one skillet thanks to these instructions from Kitchen Swagger. The fresh basil is a nice touch and lends even more credibility to your sandwich. We love the kaleidoscope of colors that Tieghan Gerard from Half-Baked Harvest puts together in this roasted chicken skillet meal. 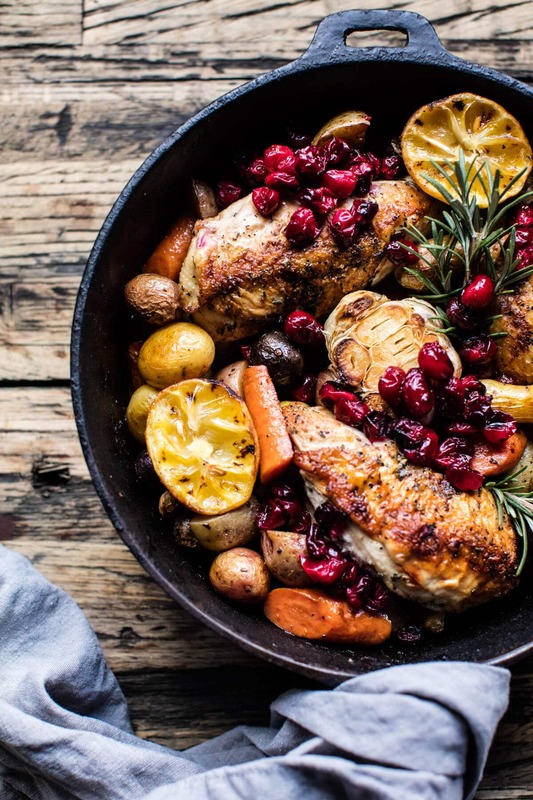 The chicken gets seasoned with rosemary and thyme and then served alongside potatoes, carrots and for the wild card, cranberries! It’s almost too pretty to eat. Almost. 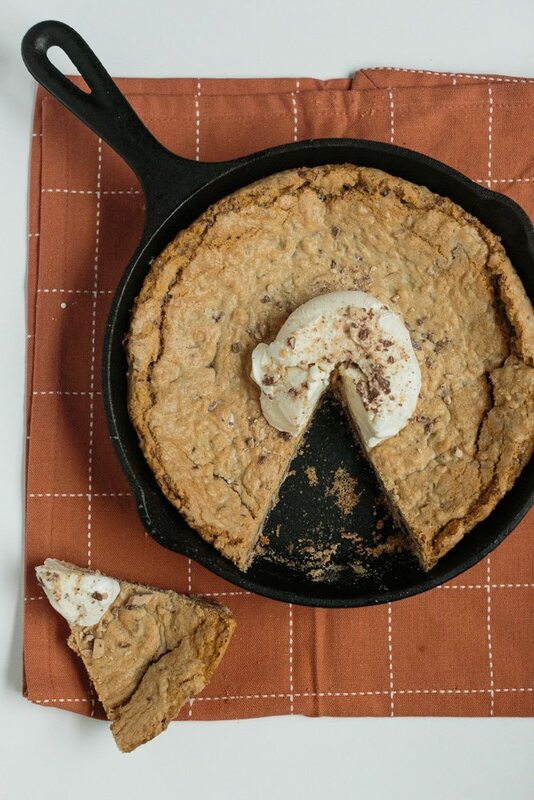 For its next trick, your cast-iron skillet can make you a delicious dessert. 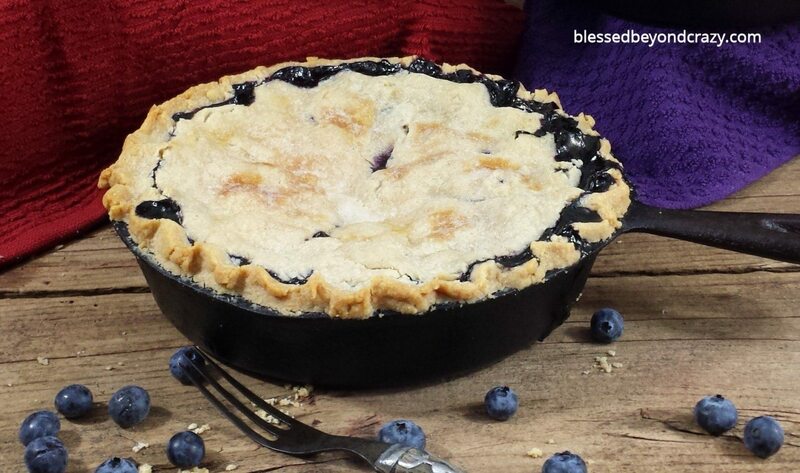 Here’s how to make a blueberry pie in it, with a recipe courtesy of Blessed Beyond Crazy. Of course, to really nail this recipe, you’ll want to serve your pie a la mode with your favorite vanilla ice cream. Most lasagna recipes call for a big 13-by-9-inch pan. 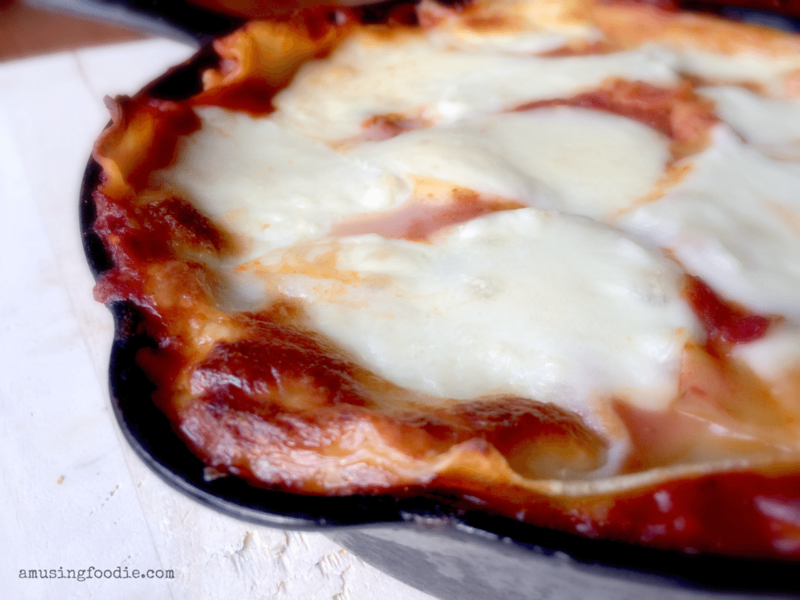 But if you want to make a smaller lasagna on the fly, give this skillet recipe from (A)musing Foodie a try. This mini lasagna serves two to four people, and you’ll especially love it if you crave crispy pasta edges. That’s right … every single piece can be a coveted “corner” slice. Chocolate chip skillet cookies are popular on restaurant dessert menus. But, as Becca Bakes shows us, you can bake these monster cookies at home, too. And why not go for something other than chocolate chip? She also shares a cookie recipe that incorporates toffee chips which is pretty much the dessert equivalent of a BOGO deal combining cookies and candy bars. 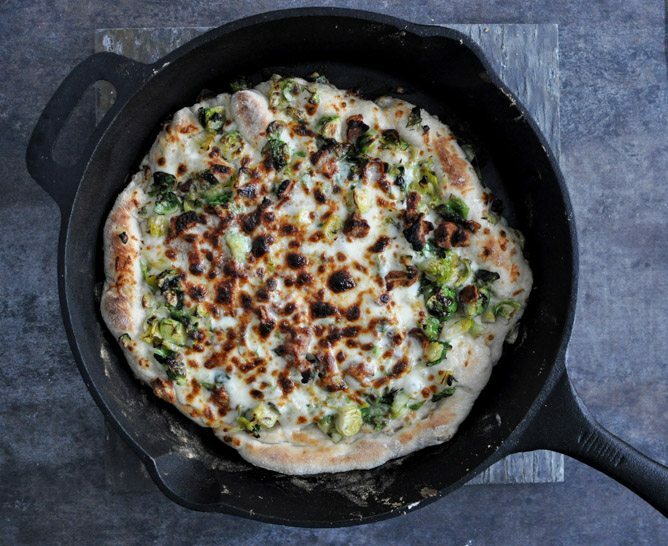 Have you fallen in love with your cast-iron skillet yet? 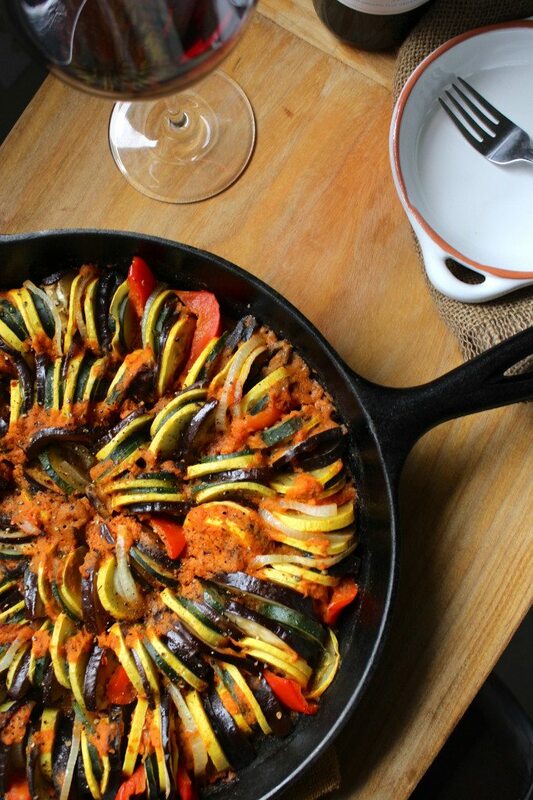 This beautiful ratatouille skillet dish from The Fitchen will actually have you looking forward to #MeatlessMonday. The recipe’s creator says it just takes 15 minutes to prep this dish, which is loaded with eggplant, bell peppers, zucchinis, yellow squash, onions and tomatoes. A mandoline will help you get a nice, thin slice for your veggies. 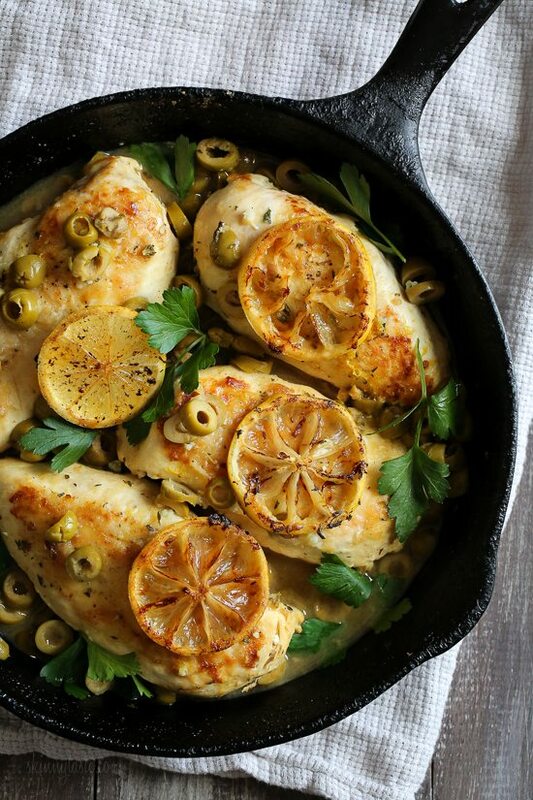 Plot twist: This skillet lemon chicken recipe from Skinnytaste gets a delicious addition in the form of green olives. The zesty, bright chicken is cooked with garlic and wine and topped with parsley. Eggs. Bacon. Hash browns. This breakfast hat trick is served to us by Dad With a Pan, who quips “the cheesier the better, which is a good rule for life, especially when embarrassing your children with classic dad jokes!” We’ll run with that. Keep some hot sauce on hand for a little extra zing. Paleo, gluten-free or both? 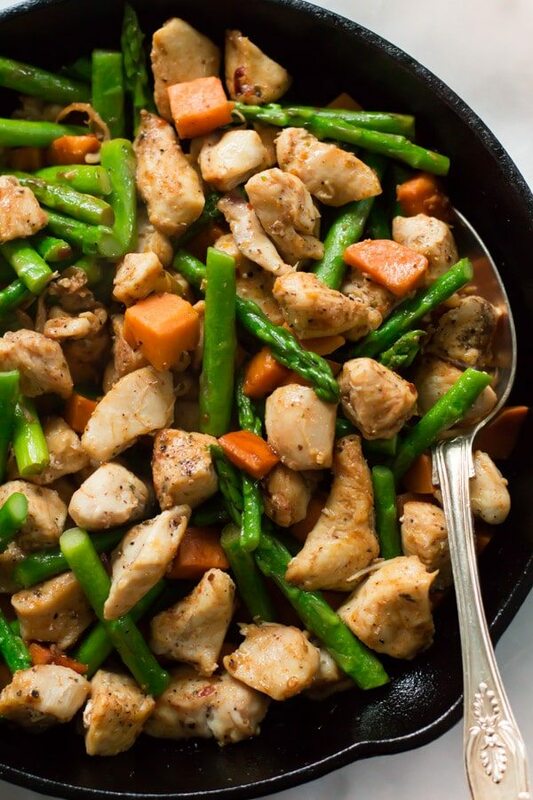 Turn your attention to this 3-ingredient skillet dinner (plus some seasoning) that can be whipped up in 30 minutes and comes courtesy of Primavera Kitchen. 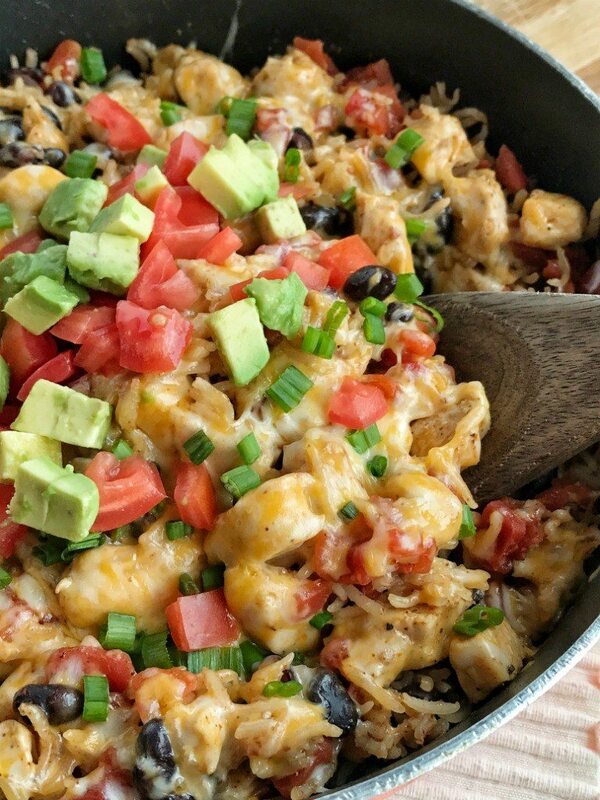 Toss chicken, rice, beans, cheese and seasoning into a skillet and make a delicious burrito stuffing with this recipe from Together As Family. From there, it’s a choose-your-own adventure. You can eat it as a burrito bowl, stuff it into a tortilla, make a quesadilla or throw together some tacos. 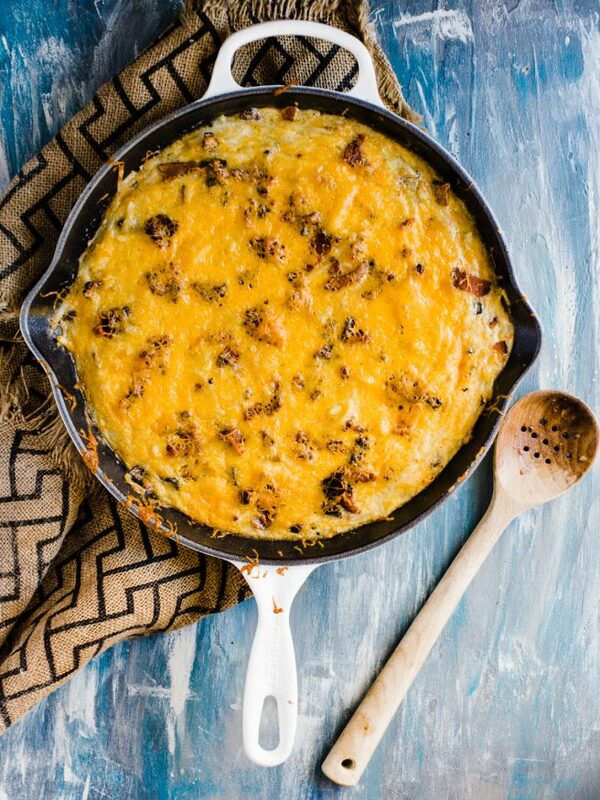 The cast-iron skillet proves that you just can’t beat a classic.